It is thought that the voltage-dependent potassium channel subunit Kv2.1 (Kv2.1) regulates insulin secretion by controlling beta cell electrical excitability. However, this role of Kv2.1 in human insulin secretion has been questioned. Interestingly, Kv2.1 can also regulate exocytosis through direct interaction of its C-terminus with the soluble NSF attachment receptor (SNARE) protein, syntaxin 1A. We hypothesised that this interaction mediates insulin secretion independently of Kv2.1 electrical function. Wild-type Kv2.1 or mutants lacking electrical function and syntaxin 1A binding were studied in rodent and human beta cells, and in INS-1 cells. Small intracellular fragments of the channel were used to disrupt native Kv2.1–syntaxin 1A complexes. Single-cell exocytosis and ion channel currents were monitored by patch-clamp electrophysiology. Interaction between Kv2.1, syntaxin 1A and other SNARE proteins was probed by immunoprecipitation. Whole-islet Ca2+-responses were monitored by ratiometric Fura red fluorescence and insulin secretion was measured. Upregulation of Kv2.1 directly augmented beta cell exocytosis. This happened independently of channel electrical function, but was dependent on the Kv2.1 C-terminal syntaxin 1A-binding domain. Intracellular fragments of the Kv2.1 C-terminus disrupted native Kv2.1–syntaxin 1A interaction and impaired glucose-stimulated insulin secretion. This was not due to altered ion channel activity or impaired Ca2+-responses to glucose, but to reduced SNARE complex formation and Ca2+-dependent exocytosis. Direct interaction between syntaxin 1A and the Kv2.1 C-terminus is required for efficient insulin exocytosis and glucose-stimulated insulin secretion. This demonstrates that native Kv2.1–syntaxin 1A interaction plays a key role in human insulin secretion, which is separate from the channel’s electrical function. The voltage-dependent potassium channel subunit Kv2.1 (Kv2.1) represents a major beta cell voltage-dependent K+ (Kv) channel that contributes to action potential repolarisation in rodents [1, 2]. 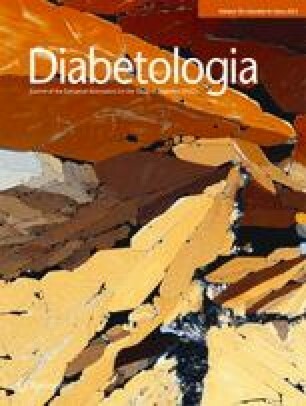 The glucose-dependent insulinotropic effect of Kv2.1 inhibition in rodents suggests that this channel could be a useful pharmacological target in diabetes [3, 4]. However, while abundant Kv2.1 protein and channel activity are detectable in human islets and beta cells [5, 6, 7], the role of this channel in human insulin secretion has been questioned. Pharmacological inhibitors of Kv2.1 block a large fraction of the Kv current in human beta cells and induce oscillatory Ca2+ responses in human islets, although this effect was small . Kv2.1 inhibitors also have no effect on human beta cell electrical responses and insulin secretion , a finding supported by recent mathematical modelling of human beta cell electrical function . Therefore the role of Kv2.1 in insulin secretion, particularly from human islets, remains unclear. The exocytosis of insulin granules involves the formation of a core soluble NSF attachment receptor (SNARE) protein complex , which also serves to localise secretory granules to sites of Ca2+ entry by interacting with voltage-dependent Ca2+ channels [10, 11, 12]. Reciprocally, SNARE proteins directly bind and modulate several beta cell ion channels, including voltage-dependent Ca2+ channels [13, 14], ATP-sensitive K+ channels [15, 16] and Kv channels [17, 18]. Thus, interaction between SNAREs and the excitatory machinery is proposed to localise secretory granules to sites of Ca2+ entry and to shape beta cell excitability during insulin secretion . We previously reported that interactions between Kv2.1 and the SNARE proteins synaptosomal-associated protein 25 (SNAP-25)  and syntaxin 1A  modulate channel electrical function. More recently, we showed that syntaxin 1A binding to a C-terminal domain of Kv2.1 directly facilitates exocytosis in PC12, bovine chromaffin and rat dorsal root ganglion cells following Kv2.1 upregulation [20, 21, 22], and that disruption of Kv2.1–syntaxin 1A interaction impairs noradrenaline (norepinephrine) release from permeabilised PC12 cells . We therefore sought to determine whether Kv2.1 plays a direct role in insulin exocytosis as such in rodent and human beta cells. Here we show that Kv2.1 associates with syntaxin 1A in INS-1 832/13 cells and human islets. Wild-type Kv2.1 (Kv2.1wt) or a non-conducting pore mutant caused similar increases in beta cell exocytosis, while a Kv2.1 mutant lacking the syntaxin 1A-binding domain did not. Disruption of native Kv2.1–syntaxin 1A interaction by a cytosolic Kv2.1 C-terminal fragment reduced glucose-stimulated insulin secretion due to impaired assembly of the SNARE complex and Ca2+-dependent exocytosis. Thus the present work addresses the discrepancy between the presence of Kv2.1 in human beta cells and the apparent lack of effect of Kv2.1 current inhibition on human insulin secretion. We demonstrate that a native Kv2.1–syntaxin 1A interaction plays a key role in insulin release and that this is independent of channel electrical function. INS-1 832/13 cells were cultured at 37°C and 5% CO2 in RPMI-1640 containing (in mmol/l): 11.1 glucose, 10 HEPES, 2 l-glutamine, 1 sodium pyruvate, along with 10% FBS, 50 μmol/l β-mercaptoethanol and 100 units/ml penicillin/streptomycin. Cells were transfected using Lipofectamine 2000 (Invitrogen, Carlsbad, CA, USA) and plated in 35 mm culture dishes. Mouse islets were obtained by collagenase digestion from male C57/bl6 mice. Human islets from 22 healthy donors (46.2 ± 2.3 years) were from the Clinical Islet Laboratory at the University of Alberta and the Alberta Diabetes Institute IsletCore. Islets were dispersed to single cells by shaking in Ca2+-free buffer and plated in 35 mm dishes. Mouse islets and cells were cultured in RPMI-1640 with 10% FBS and 100 units/ml penicillin–streptomycin. Human islets and cells were cultured in low-glucose (1 g/l) DMEM with l-glutamine, 10% FBS and 100 units/ml penicillin–streptomycin. All studies were approved by the Animal Care and Use Committee and the Human Research Ethics Board at the University of Alberta. The Kv2.1 pore mutant (Kv2.1W365C/Y380T) and construct lacking the syntaxin-binding domain (Kv2.1W365C/Y380TΔC1a) have been described previously  (Fig. 1a). Kv2.1wt, Kv2.1W365C/Y380T and Kv2.1W365C/Y380TΔC1a were all cloned by PCR into pAdtrackCMV, which co-produces green fluorescent protein (GFP) to allow identification of transfected cells. The glutathione S-transferase (GST)-tagged Kv2.1 peptide fragments (GST-Kv2.1-N, GST-Kv2.1-C1 and GST-Kv2.1-C2) were produced as previously reported . Untagged versions of these, for mammalian expression, were generated via PCR from Kv2.1wt and cloned into pcDNA3.1. Forward and reverse primers included a Kozak sequence and stop codon, respectively. These were co-transfected with enhanced GFP (pEGFP) to allow identification of transfected cells. Kv2.1-C1 was also cloned into enhanced yellow fluorescent protein (pEYFP)-C1 to generate Kv2.1-C1-YFP. Finally, using the AdEasy system (www.coloncancer.org/adeasy.htm), the C1 fragment clone was used to generate a recombinant adenovirus (Ad-GFP-Kv2.1-C1), which also co-produces GFP. An adenovirus (Ad) producing GFP alone (Ad-GFP) was used as a control. All constructs were confirmed by sequencing. Insulin secretion measurements were performed at 37°C in KRB containing (in mmol/l): 135 NaCl, 3.6 KCl, 5 NaHCO3, 1.5 CaCl2, 0.5 MgCl2, 0.5 NaH2PO4, 10 HEPES and 0.1% BSA (pH 7.4). Some 10 to 20 islets per group were pre-incubated for 2 h in 2.8 mmol/l glucose KRB, then for an additional 1 h in this buffer, followed by 1 h with 16.7 mmol/l glucose KRB. The supernatant fractions were collected and the islets lysed in acid-ethanol for insulin content. Samples were stored at −20°C and assayed for insulin via ELISA (ALPCO, Salem, NH, USA). Results are expressed as insulin released as a percentage of total insulin content and compared by paired Student’s t test. Two human islet preparations were excluded due to baseline hypersecretion (>2% of content released at low glucose). For experiments in Fig. 2, INS-1 832/13 cells (30 × 106 cells per reaction) were homogenised in ice-cold buffer containing, in addition to protease inhibitor cocktail, the following in mmol/l: 150 NaCl, 50 TRIS-HCl, 5 EDTA, 1 EGTA, and either 1% freshly prepared 3-[(3-cholamidopropyl)dimethylammonio]-1-propanesulfonate (CHAPS) (Fig. 2a,b) or 1% Triton X-100 (Fig. 2c,d). Homogenates were incubated for 2 h and centrifuged, both at 4°C, for 25 min at 12,000 rpm. The supernatant fraction was purified by protein A-sepharose and 1% BSA for 1 h and immunoprecipitated for 4 h with syntaxin 1A or Kv2.1 antibodies (Alomone Labs, Tel Aviv, Israel) that were prebound to protein A immobilised on sepharose. In Fig. 2c,d, immunoprecipitation with Kv2.1 antibody was performed in the presence of 10 μmol/l GST-fusion peptides Kv1.1-C (C terminus of Kv1.1 known not to bind syntaxin 1A) or Kv2.1-C1. Glutathione-sepharose beads were added to the supernatant fraction of the immunoprecipitation reactions to pull down syntaxin 1A together with the GST-fusion peptides. These were washed three times in PBS containing either 0.2% CHAPS (Fig. 2a,b) or 0.1 % Triton X-100 (Fig. 2c,d). The inclusion of 5% glycerol in the final wash minimised the non-specific interactions between syntaxin 1A and protein A-sepharose beads. The bound GST-fusion proteins were eluted with reduced glutathione as described . For controls, cell lysates were immunoprecipitated with an irrelevant antibody (IgG) and with protein A-sepharose alone, or by performing the immunoprecipitation with Kv2.1 antibody in the presence of its antigen peptide (1:1 ratio). SNARE complex pull-down in INS-1 832/13 cells was examined as described previously  following stimulation with 16.7 mmol/l glucose for 30 min to stimulate SNARE complex formation. Human islet immunoprecipitations were washed three times with cold PBS and homogenised in ice-cold CelLytic M lysis reagent (Sigma-Aldrich, Oakville, ON, Canada) with protease inhibitor cocktail. Homogenates were incubated for 2 h at 4°C and centrifuged for 10 min at 4°C and at 16,000 g. Equal amounts of total protein from postnuclear supernatant fractions were pre-cleared for 1 h with protein G-sepharose, and then incubated for 4 h under gentle shaking and overnight, with antibody for syntaxin 1A (Santa Cruz Biotechnology, Santa Cruz, CA, USA) or Kv2.1 (NeuroMab, Davis, CA, USA) and also under gentle shaking, at 4°C. The immune complexes absorbed to protein G-sepharose were washed five times with NP-40 buffer (containing in mmol/l: 150 NaCl, 50 TRIS-base and 1% Igepal) at 4°C. Precipitated proteins were analysed by western blotting using antibodies against Kv2.1 (NeuroMab; Alomone Labs), syntaxin 1A (Sigma-Aldrich; Santa Cruz Biotechnology; Alomone Labs), mammalian uncoordinated-18a (MUNC18a) (BC Biosciences, Mississauga, ON, Canada), SNAP-25 (Sternberger Monoclonals, Baltimore, MD, USA) and vesicle-associated membrane protein 2 (VAMP2) (a gift from A. Lowe, Stanford University School of Medicine, Stanford, CA, USA). Primary antibodies were incubated overnight at 4°C, followed by three washes of 10 min each, after which secondary antibodies were used for 1.5 h at room temperature. Then blots were exposed to electrochemiluminescence (ECL; GE Healthcare, Piscataway, NJ, USA). GST-fusion proteins were detected by staining with ponceau S (Fig. 2d). At least three experiments were performed, with representative examples shown, except in Fig. 2c,d (n = 2). The standard whole-cell technique with the sine + DC lock-in function of an EPC10 amplifier and Patchmaster software (HEKA Electronics, Lambrecht/Pfalz, Germany) was used in experiments performed at 32°C to 35°C. Patch pipettes, pulled from borosilicate glass and coated with Sylgard, had a resistance of 3 to 4 MΩ when filled with pipette solution; liquid junction potentials were corrected as appropriate. For depolarisation-stimulated capacitance measurements, the pipette solution contained (in mmol/l): 125 Cs-glutamate, 10 CsCl, 10 NaCl, 1 MgCl2 6 H2O, 0.05 EGTA, 5 HEPES, 0.1 cAMP and 3 Mg ATP (pH 7.15 with CsOH). The extracellular bath contained (in mmol/l): 118 NaCl, 20 tetraethylammonium chloride, 5.6 KCl, 1.2 MgCl2 6H2O, 2.6 CaCl2, 5 glucose and 5 HEPES (pH 7.4 with NaOH). For measurement of voltage-dependent Ca2+ currents, the pipette solution was (in mmol/l): 140 Cs-glutamate, 1 MgCl2, 20 tetraethylammonium chloride, 5 EGTA, 20 HEPES and 3 MgATP (pH 7.3 with CsOH). The extracellular bath contained (in mmol/l): 10 BaCl2, 100 NaCl, 5 CsCl, 1 MgCl2, 5 glucose, 10 HEPES, and 0.5 μmol/l tetrodotoxin (pH 7.35 with CsOH). When exocytosis was initiated by dialysis of a Ca2+/EGTA-buffer (200 nmol/l free Ca2+), the intracellular solution contained (in mmol/l): 125 K-glutamate, 10 NaCl, 10 KCl, 1 MgCl2 6H2O, 5 CaCl2, 10 EGTA, 5 HEPES and 3 MgATP (pH 7.1 with KOH). The extracellular solution contained (in mmol/l): 138 NaCl, 5.6 KCl, 1.2 MgCl2 6H2O, 2.6 CaCl2, 5 glucose and 5 HEPES (pH 7.4 with NaOH). For Kv currents, the intracellular solution contained (in mmol/l): 140 KCl, 1 CaCl2, 1 MgCl2, 10 HEPES, 10 EGTA and 3 MgATP (pH 7.3 with KOH). The bath solution was composed of (in mmo/l): 135 NaCl, 5.4 KCl, 1 CaCl2, 1.2 MgCl2, 10 HEPES and 5 glucose (pH 7.3 with NaOH). Measurements were normalised to initial cell size and expressed as femtofarad (fF) per picofarad (pF) and picoampere (pA) per pF. Mouse beta cells were identified by size and the presence of a voltage-gated Na+ current that inactivates at approximately −90 mV , while human beta cells were positively identified by insulin immunostaining. Islets infected with Ad-GFP or Ad-GFP-Kv2.1-C1 and cultured for 24 to 48 h were incubated for 45 min with 10 μmol/l Fura Red-AM and 0.08% pluronic acid (Invitrogen, Burlington, ON, Canada) in a Ca2+ imaging solution containing (in mmol/l): 130 NaCl, 5 KCl, 2 CaCl2, 1 MgCl2, 5 NaHCO3, 0.5 glucose and 10 HEPES (pH 7.4 with NaOH). Islets were then imaged in fresh imaging solution with 0.5 mmol/l glucose and without Fura Red-AM or pluronic acid at 37°C with constant bath perfusion. Imaging was performed with a Stallion imaging system (Olympus Canada, Richmond Hill, ON, Canada). Image acquisition and analysis was with Ratio Cam software (Metamorph, Molecular Devices, Sunnyvale, CA, USA). Excitation was at 440 and 490 nm. Emission was collected using a 660/50 nm bandpass filter for ratiometric imaging. Glucose (11 mmol/l) was increased as indicated and the NaCl concentration reduced as required. We produced Kv2.1wt and a non-conducting pore mutant (Kv2.1W365C/Y380T) in human beta cells (Fig. 1a). Transfected cells were identified by co-produced GFP. The dominant-negative Kv2.1W365C/Y380T reduced human beta cell Kv currents by 50.1% at 70 mV to 64 ± 12 pA/pF (n = 15, p < 0.01) (Fig. 1b,c), which was consistent with previous reports of functional native Kv2.1 channels in these cells [5, 6, 7]. The wild-type channel increased the Kv current by 13.4-fold to 1749 ± 172 pA/pF (n = 12, p < 0.001) (Fig. 1b,d). Despite the opposing effects of Kv2.1wt and Kv2.1W365C/Y380T on channel currents, both enhanced the exocytotic response of human beta cells to a train of membrane depolarisations (Fig. 1e–g). Total exocytosis was increased from 24.1 ± 3.6 fF/pF in GFP controls (n = 18) to 48.8 ± 6.8 fF/pF in the presence of Kv2.1wt (n = 19, p < 0.01). Similarly, the presence of Kv2.1W365C/Y380T increased total exocytosis from 22.6 ± 3.5 fF/pF (GFP controls; n = 25) to 35.9 ± 2.4 fF/pF (n = 39, p < 0.01). Therefore, Kv2.1 facilitates human beta cell exocytosis in response to depolarisation, regardless of the channel’s ability to conduct K+ current. In INS-1 832/13 cells we found that Kv2.1 co-immunoprecipitated together with syntaxin 1A (Fig. 2a) and vice versa (Fig. 2b), demonstrating interaction between these native proteins. Since syntaxin 1A binds the Kv2.1 C-terminus at the C1a region , we examined whether the Kv2.1–syntaxin 1A interaction could be disrupted using the Kv2.1-derived syntaxin 1A binding peptide GST-Kv2.1-C1 . This approach is similar to that used to demonstrate coupling of exocytosis to Ca2+ channels [10, 28, 29, 30]. Immunoprecipitation with anti-Kv2.1 in the presence of GST-Kv2.1-C1 or GST-Kv1.1-C (negative control) demonstrated that the Kv2.1-C1 fragment efficiently uncoupled the Kv2.1–syntaxin 1A interaction (Fig. 2c). This was due to competitive binding of GST-Kv2.1-C1 to syntaxin 1A, as pull-down of GST-bound proteins from the immunoprecipitation supernatant fraction (Fig. 2d) demonstrated binding of syntaxin 1A to the GST-Kv2.1-C1 peptide. Thus, syntaxin 1A binds to Kv2.1 at its C-terminus in insulin-secreting cells, and a small C-terminal fragment of the channel competitively disrupts this interaction. We then generated an electrically inactive Kv2.1 channel lacking the syntaxin 1A-binding domain (Kv2.1W365C/Y380TΔC1a) (Fig. 3a) . This construct is produced at similar levels to the full-length pore mutant and traffics to the cell surface  (data not shown), and inhibits native Kv currents (Fig. 3b,c), demonstrating the appropriate abundance and dominant-negative function of Kv2.1W365C/Y380TΔC1a. Similarly to the situation in human beta cells, the presence of Kv2.1W365C/Y380T in INS-1 832/13 cells augmented the exocytotic response, from 14.6 ± 3.6 fF/pF in controls (n = 8) to 29.0 ± 3.6 fF/pF (n = 13, p < 0.05) (Fig. 3d,e). However, Kv2.1W365C/Y380TΔC1a, which lacks the syntaxin 1A-binding domain, had no effect on exocytosis (n = 11). The role of a native Kv2.1–syntaxin 1A interaction in INS-1 832/13 cell exocytosis was investigated by producing untagged versions of Kv2.1 C-terminal (Kv2.1-C1 and -C2) and N-terminal (Kv2.1-N) fragments (in pcDNA3.1 and co-transfected with pEGFP) (Fig. 4a). The presence of Kv2.1-C1 in INS-1 832/13 cells inhibited the Kv current by 41% (n = 22, p < 0.001) (Fig. 4b,c). This is contrary to the effective inhibition of exocytosis in INS-1 832/13 cells by Kv2.1-C1 (reduced to 2.4 ± 0.8 fF/pF; n = 31, p < 0.001) (Fig. 4d,e). While Kv2.1-C2 had a small but significant effect on Kv currents (n = 8, p < 0.05), neither it nor the Kv2.1-N fragment altered INS-1 832/13 cell exocytotic responses (n = 17, 18) (Fig. 4b–e). Kv2.1-C1 disrupted native syntaxin 1A–Kv2.1 binding in INS-1 832/13 cells (Fig. 4f,g), also resulting in impaired SNARE complex assembly following glucose-stimulation, as indicated by reduced co-immunoprecipitation of MUNC18a, SNAP-25 and VAMP2 (n = 3) (Fig. 4f,g). Finally, we found that fluorescently tagged Kv2.1-C1 (Kv2.1-C1-YFP) also inhibited exocytosis in INS-1 832/13 cells (n = 6–8) (Fig. 4e) and localised to the plasma membrane (the nuclear localisation observed is likely to be because the size of this construct is close to that for passive nuclear transport, rather than due to direct nuclear targeting as such [Fig. 4h]). The ability of Kv2.1-C1 to inhibit exocytosis in INS-1 832/13 cells was not due to impaired Ca2+ channel activity, since voltage-dependent Ca2+ currents were preserved following disruption of the Kv2.1–syntaxin 1A interaction by Kv2.1-C1 (n = 20) (Fig. 5a,b). Furthermore, the exocytotic response of INS-1 832/13 cells to direct infusion of 200 nmol/l Ca2+, bypassing a need for depolarisation and Ca2+ channel activity, remained impaired after production of Kv2.1-C1 (38.0 ± 11.8 fF/pF, n = 8) compared with a GFP-only control (88.9 ± 18.8 fF/pF; n = 8, p < 0.05) (Fig. 5c,d). Thus endogenous Kv2.1, specifically the C1a domain, augments Ca2+-dependent exocytosis in insulin-secreting cells. To assess the effect of acute disruption of Kv2.1–syntaxin 1A binding, recombinant GST-tagged peptide fragments mimicking the Kv2.1-C1, -C2 and N-terminal domains were generated . We infused GST-Kv2.1-C1, GST-Kv2.1-C2 and GST-Kv2.1-N peptides (and GST as a control; 4 μg/ml for 2–3 min) directly into mouse beta cells (Fig. 6a) and found that GST-Kv2.1-C1, which competitively disrupted Kv2.1–syntaxin 1A binding (Fig. 2), acutely impaired the exocytotic response of mouse beta cells to membrane depolarisation (6.9 ± 1.8 fF/pF, n = 21) compared with GST alone (19.4 ± 2.0 fF/pF; n = 35, p < 0.001) (Fig. 6). Consistent with our observations in INS-1 832/13 cells (Fig. 3), the GST-Kv2.1-C2 (n = 16) and GST-Kv2.1-N (n = 16) peptides had no acute effect on exocytosis (Fig. 6). To further explore the role of the Kv2.1–syntaxin 1A interaction in primary beta cells and intact islets, we generated a recombinant adenovirus producing the Kv2.1-C1 fragment and co-producing GFP (Ad-GFP-Kv2.1-C1). The presence of Ad-GFP-Kv2.1-C1 impaired glucose-dependent insulin secretion by 38% (n = 5, p < 0.01) compared with a GFP control (Ad-GFP) (Fig. 7a). This occurred in the face of an inhibition of whole-cell Kv currents by 23.5% (n = 20, p < 0.05 at 70 mV) (Fig. 7b,c), and a resultant increase in the peak (p < 0.01) and total (p < 0.05) Ca2+ response to glucose (n = 17-21) (Fig. 7d-f). This effect on Ca2+ is consistent with the role of Kv2.1 electrical function in mouse islet Ca2+ responses , but cannot account for impaired insulin secretion. Consistent with a direct role of Kv2.1–syntaxin 1A binding in facilitating exocytosis, disruption of that binding with Ad-GFP-Kv2.1-C1 impaired the exocytotic response of mouse beta cells (n = 17, p < 0.001) (Fig. 7g,h). Finally, we demonstrated in intact human islets that Ad-GFP-Kv2.1-C1 reduced native Kv2.1–syntaxin 1A binding, as detected by immunoprecipitation of Kv2.1 (Fig. 8a) or syntaxin 1A (Fig. 8b). This resulted in a 47% reduction in glucose-stimulated insulin secretion (n = 7 donors; p < 0.05) (Fig. 8c), without alteration of the intracellular Ca2+ response (n = 7–10 islets from three donors) (Fig. 8c, inset). At the level of single human beta cells, the total exocytotic response was reduced from 40.8 ± 7.2 fF/pF in controls (n = 19) to 9.8 ± 2.2 fF/pF upon production of Kv2.1-C1 (n = 16, p < 0.001) (Fig. 8d,e). Consistent with an impairment of Ca2+-dependent exocytosis as such, the inhibitory effect of Ad-GFP-Kv2.1-C1 could not be overcome by increasing the duration of membrane depolarisations, a protocol that increases global Ca2+ influx . The exocytotic response to even the longest depolarisation (2.5 s) was reduced from 17.5 ± 2.8 fF/pF in controls (n = 22) to 5.0 ± 1.7 fF/pF following Kv2.1-C1 production (n = 23, p < 0.001) (Fig. 8f,g). The inhibition of beta cell repolarising K+ currents prolongs the action potential, increases Ca2+ entry and enhances insulin secretion in rodents and humans [3, 7, 32]. Among likely contributors, the Kv2.1 isoform has been found to mediate the majority of Kv currents in rodent beta cells [2, 4, 33], although one or more other channels also contribute . Inhibition or knockout of Kv2.1 enhances the electrical, intracellular Ca2+ and secretory responses of rodent islets [1, 2, 4]. Kv2.1 is also highly abundant and mediates large K+ currents in human beta cells [5, 6, 7, 35], consistent with our observation using the dominant-negative channel (Fig. 1). However, the role of Kv2.1 in human beta cell electrical activity, overall Ca2+ responsiveness and insulin secretion appears minimal [5, 7, 8], while large-conductance Ca2+-sensitive K+ (BK) channels may predominate . Kv2.1 interacts with exocytotic SNARE proteins, including SNAP-25  and syntaxin 1A , and co-localises with these in lipid rafts [36, 37]. For the most part, these interactions have been studied in the context of SNARE-dependent modulation of electrical excitability . Only recently has the converse been examined, namely the question of whether this interaction controls exocytosis itself. Increasing Kv2.1 enhances exocytosis in PC12 and bovine chromaffin cells due to an interaction between the channel C-terminus (specifically, the C1a domain) and syntaxin 1A [20, 22]. This effect is lost upon disruption of Kv2.1–syntaxin 1A binding, either by deletion of the C1a domain in the channel or introduction of a small peptide (i.e. a Kv2.1-C1 or C1a peptide) that competes for syntaxin 1A binding . This latter approach has been used to probe native Kv2.1–syntaxin 1A interaction in PC12 cells  and the coupling of exocytosis to voltage-dependent Ca2+ channels [10, 28, 29, 30]. Kv2.1 augments exocytosis in INS-1 cells and human beta cells. Several lines of evidence observed by us here suggest that this occurs independently of the channel’s electrical function. First, the ability to augment exocytosis was preserved in pore-mutated channels that do not conduct K+. Second, the methods used circumvent any effect of the channel on membrane potential (i.e. the membrane potential is ‘voltage-clamped’ and K+ is replaced with Cs+). Third, the impaired insulin secretion and exocytotic responses observed in the presence of Kv2.1-C1 are in direct contrast to increased (mouse) or unaltered (human) Ca2+ responses. Thus reduced insulin secretion following disruption of the Kv2.1–syntaxin 1A interaction is due to an effect down-stream of glucose-dependent Ca2+ entry, consistent with an important role for this complex in insulin exocytosis. Our data suggest that Kv2.1 plays a role as a direct facilitator of Ca2+-dependent exocytosis and that this is independent of any effect on Ca2+ responses. This, together with observations that Ca2+ currents themselves were unaffected by Kv2.1-C1, suggests that impaired Ca2+-signalling is unlikely to be responsible for the reduced exocytotic and secretory response. Indeed, deletion of the syntaxin 1A binding domain of the channel  completely abolished Kv2.1-dependent facilitation of exocytosis (Fig. 3d,e), despite preserved production, localisation  and dominant-negative function. Furthermore, a native Kv2.1–syntaxin 1A interaction was observed by us in INS-1 cells and human islets, the importance of which is demonstrated by a 40 to 50% reduction in glucose-stimulated insulin secretion upon disruption of syntaxin 1A binding to the channel. The observation that this reduction in secretion was less than the 75% reduction in Ca2+-dependent exocytosis was not unexpected and is likely to be due to a combination of factors: (1) a limited infection efficiency in intact islets; (2) an increased Ca2+ response in mouse islets (indeed in human islets, where Ca2+ was unaffected, the inhibition of insulin secretion by Ad-GFP-Kv2.1-C1 was greater); and (3) the use of direct membrane depolarisation (exocytosis) versus glucose-stimulation (secretion), which would generate additional secretory signals . Therefore, in addition to its role in electrical and Ca2+ responses, we have shown that native Kv2.1 plays a direct role in insulin exocytosis by binding syntaxin 1A. Kv2.1 has been proposed to stabilise the acceptor t-SNARE complex . While further work is required to understand the contribution of the Kv2.1–syntaxin 1A interaction to the dynamics underlying this process, we have nonetheless demonstrated a role for native Kv2.1–syntaxin 1A interaction in beta cell exocytosis. Further support for a role of Kv2.1 at the exocytotic site is provided by the demonstration that Kv2.1 associates with SNARE proteins in beta cell lipid rafts, the disruption of which enhanced exocytosis . Additional work will also be required to determine the impact of Kv2.1 on granule trafficking , the relative contributions of pre-docked versus ‘newcomer’ secretory granules  and on the fusion process itself [41, 42]. Finally, it should be noted that beta cells from Kv2.1 (also known as Kcnb1)-null mice showed enhanced electrical activity, Ca2+ responses and insulin secretion . While this is in agreement with the role of Kv2.1 as a negative modulator of insulin secretion in rodents , it is in apparent contradiction to the data presented here. However, the enhanced secretion following Kv2.1 knockout was in response to modest glucose stimulation, while a role for Kv2.1 in exocytosis as such may be more important at higher glucose levels or upon prolonged stimulation. Furthermore, it remains unknown whether compensatory alterations (such as increased SNARE abundance) might promote exocytotic function upon global Kv2.1 knockout. Thus, Kv2.1 may play multiple roles in the regulation of insulin secretion, namely as a regulator of electrical function and in the direct modulation of exocytosis. While the predominant role may be dependent on the timing and nature of the stimulus, we would suggest a key role in exocytosis in human beta cells, given that another channel (the BK channel) probably fulfils a primary role in action potential repolarisation here . In conclusion, we have demonstrated that Kv2.1 facilitates beta cell exocytotic responses in rodents and humans by binding to syntaxin 1A. Disruption of native Kv2.1–syntaxin 1A interaction impairs Ca2+-dependent exocytosis and reduces glucose-stimulated insulin secretion. This is independent of the channel’s K+ conducting activity and suggests that, apart from a role in electrical function and Ca2+ responses, Kv2.1 is an important regulator of Ca2+-dependent exocytosis in beta cells. Whether these roles are dynamic or changing over the course of the secretory process remains to be determined. Nonetheless, the present work demonstrates that Kv2.1 plays a role in the regulation of insulin exocytosis that is relevant in human beta cells, where it remains unclear whether this channel has an electrical function. The authors wish to thank N. Smith for excellent technical assistance and C. Newgard (Sarah W. Stedman Metabolism and Nutrition Centre, Duke University, Durham, NC, USA) for providing the INS-1 832/13 cells. This work was funded by grants to H.Y. Gaisano from the Canadian Institutes of Health Research (CIHR; MOP69083), to I. Lotan from the United States-Israel Bi-national Science Foundation (2009049) and the Israel Academy of Sciences and Humanities (99/10), and to P.E. MacDonald from the CIHR (MOP244739), the National Sciences and Engineering Research Council (NSERC) of Canada, and the Alberta Diabetes Foundation. X.Q. Dai and M. Casimir were supported by fellowships from the Alberta Innovates-Health Solutions (AI-HS). C. Hajmrle was supported by a doctoral studentship from AI-HS. P.E. MacDonald is an AI-HS Scholar and holds the Canada Research Chair in Islet Biology. XQD, JEMF, YK, DC, MC, GP, TK, CH, AFS, DSL, IL, HYG and PEM conceived and performed experiments, and analysed and interpreted data. TK, AMJS, HYG, IL and PEM conceived experiments, and provided analysis and interpreted data. PEM wrote and edited the manuscript. All authors contributed to the revision of manuscript content and approved the final version.